Allied Domecq is to expand its advertising strategy for its Stolichnaya vodka brand in the US market. 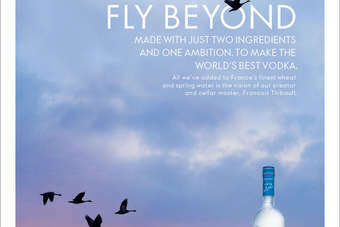 The present campaign featuring images of origami animals "crafted" from Stolichnaya labels has contributed to double-digit percentage growth trends for both the base brand and Stoli flavored vodkas, the company said today. As a result, the Stoli team is evolving the campaign this Fall, with an origami polar bear image scheduled to appear not only in print ads, but also in what Allied is describing as "unexpected out-of-home locations" and "surprising innovative mediums". "Allied Domecq is committed to cutting through the clutter of traditional bottle-focused liquor advertising, and the evolution of the Stoli campaign is a great example of doing just that," said Kim Manley, Allied Domecq's chief marketing officer. He added: "The timeless, disciplined art of origami is a perfect match for the traditional distillation process that produces the genuine Russian Stolichnaya vodka marketed by Allied Domecq in the US."